The cutouts on the box match the type of pasta inside. 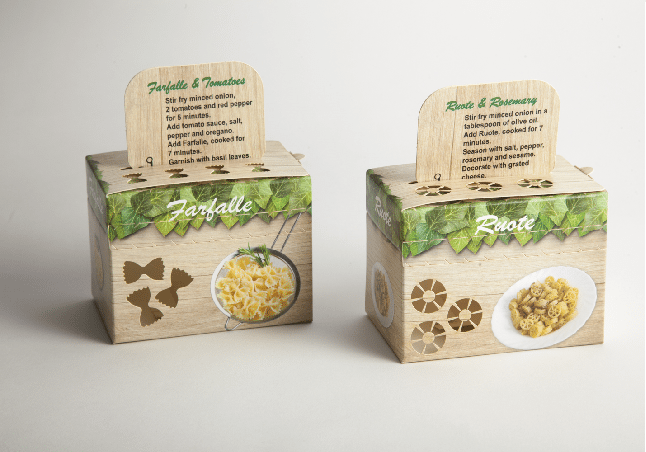 By changing the cutouts only, we created two different designs for different pasta types, while the box layout remained the same. an interesting and different way, unlike other regular boxes. These boxes demonstrate a complete digital workflow having been printed on the HP 30000 digital press.